Vietnam and India have a long-lasting traditional friendship. Since the establishment of diplomatic relations in 1972, the Vietnam - India traditional friendship and multifaceted cooperation, whose foundation was laid by President Ho Chi Minh and Prime Minister Nehru, has been continuously nurtured and promoted by generations of leaders and people of the two countries. 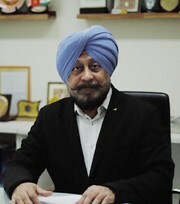 On the occasion of spring 2019, Vietnam Business Forum has an interview with Mr. Dilbagh Man Mohan Singh, Chairman of the Indian Chamber of Commerce in Vietnam, with regard to trade and investment relations between the two countries. Huong Hau reports. Could you please tell us about the bilateral trade relations over the past years? Vietnam and India have a long-standing relationship established by Prime Minister Nehru and President Ho Chi Minh, along with various cultural similarities. Since the establishment of the Vietnam-India Strategic Partnership in July 2007, upgraded to Comprehensive Strategic Partnership in 2016, the bilateral trade revenue has increased from US$7.8 billion in the 2015-2016 period to US$12.8 billion in the 2017-2018 period. India is one of the 10 largest trading partners of Vietnam. Bilateral trade between India and Vietnam has witnessed massive growth over the past years. India is now among the top ten trading partners of Vietnam. The number of Indian businesses operating in Vietnam has increased. From the viewpoint of Indian businesses, Vietnam has become an important member of free trade agreements. The two-way trade revenue between Vietnam and India is on course to increase and is expected to hit US$15 billion by 2020. As comprehensive strategic partners, Vietnam and India are enjoying thriving relations based on mutual trust and understanding. 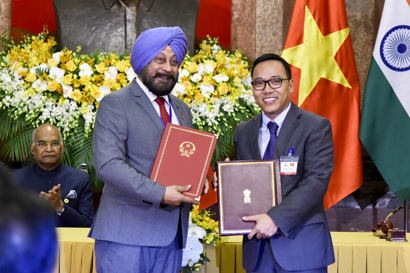 Two countries will try to strengthen bilateral trade and always hope for the most optimistic circumstances to have more Indian companies invest in Vietnam, as well as reassure Vietnamese companies looking for business opportunities in India. How do you assess the investment and business environment of Vietnam? Vietnam-India business relationship presents prospects for engagement in the areas of healthcare, pharmaceuticals, energy, services, information technology and other sectors. Since 2013, Vietnam government has invested millions of dollars to improve infrastructure, railway systems, roads and air routes to best serve transportation and international trade. Vietnam’s labor force of working age is large; most of them are young and increasingly high-skilled labor. In addition, the attention of Vietnam government's investment in education and training in recent years has achieved many important results. With foreign investors and big companies in the world, Vietnam is the ideal choice in the process of finding investment partners. Could you please tell us in what areas you expect Vietnam's exports to create breakthroughs? Vietnam is a country on the rise for exporting. Large export categories in Vietnam include textile, footwear, electronics, coffee, seafood, leather, vegetables and fruits, etc. From my point of view, Vietnam’s growth in textile and garment exports to most major markets. The increased market access through free trade agreements and technology are the major growth drivers for this sector in the coming year. Footwear is also a potential breakthrough as Vietnam continued to rank in the top 10 largest footwear exporters. Opportunities for export growth in 2019 and the coming years are relatively bright, as Vietnam's competitive capacity is growing.